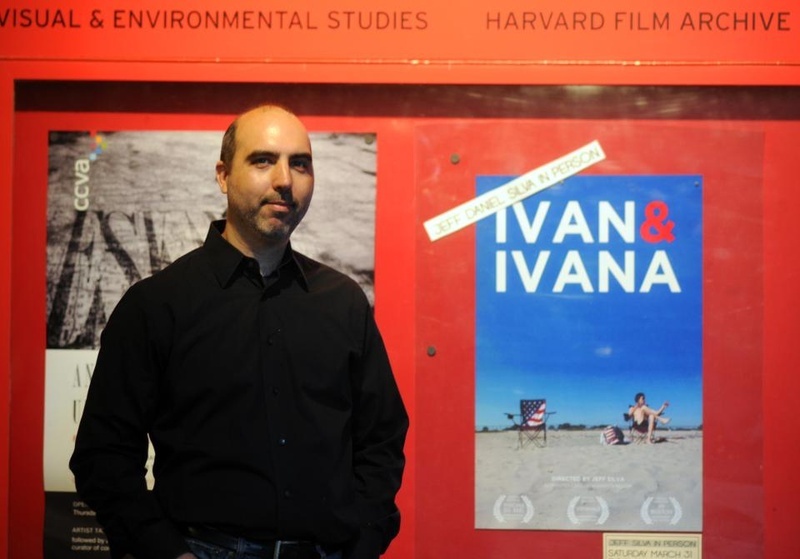 Filmmaker Jeff Silva's new documentary, "Ivan & Ivana," screened at the Harvard Film Archive on Saturday. After NATO bombed Serbia in 1999 to end the bloody Kosovo conflict, filmmaker Jeff Silva, the first U.S. civilian to be allowed entry to the country after the bombings, travelled through the region to document the aftermath. Silva, formerly a teaching fellow in Visual and Environmental Studies, wove together his experiences in an ethnographic documentary called “Balkan Rhapsodies: 78 Measures of War,” a series of abstract vignettes exploring the war’s devastating repercussions and its inhabitants’ efforts to rebuild their lives. At an expatriate-hub bar in Kosovo, he met a lifelong friend, Ivan, who became the subject of Silva’s latest documentary, “Ivan & Ivana.” The film documents Ivan and his wife Ivana’s life in America after they fled the war-torn Kosovo. The documentary screened Saturday at the Harvard Film Archive. The Harvard Crimson: What are the main themes in your body of work? JS: Well, I have a background in anthropology, so I’ve always been interested in culture…. I really took a keen interest in how to represent the lives of other people…. I’m really engaged as an artist in what’s happening in the world. Conflicts have been an area of interest for me. I spent more than a decade investigating the history and culture of the Balkan region, but I’m equally interested in conflict all around the world and also our government’s relationship to [such conflicts], so I’m pushing my role as an artist to critically assess my country’s actions as well. THC: What was it that most struck you in your experiences in the Balkan region? JS: Growing up in the United States prior to September 11, the thought of being involved in a conflict area and being involved a war zone and seeing human suffering on a large scale was something that you’re sheltered from…. Going [to the Balkans] as a citizen from a country that just engaged in the bombing of the other country was a scary prospect.... I didn’t have a plan; I didn’t know anyone. I knew I was going there to film and to bear witness…[to] talk to people and to try to add something to the dialogue of what was happening in Serbia at the time, during the Milosevic regime. I was touched by the generosity of the people that I met—by their intelligence, by how articulate they were, by how compassionate they were. I was saddened by how lucky I was in some ways and how I could just go there and leave, and they were imprisoned there. THC: What was your relationship like with the people you filmed in the region? Would they come to you? JS: It happened through a very organic, loose network. People heard that there was some crazy American in Belgrade, and a friend would say, “Hey, I’ve got this guy staying at my house, and he’d love to talk to you and meet you,” and people would just come over to my friend Zoran’s house and hang out until four in the morning, drink lots of šljivovica…. I branched out from there…. I would interview someone who I thought had some important role. I was interested in regular people, too, because everyone was affected. THC: Do you want “Ivan & Ivana” to convey a social commentary, or is it more about telling an interesting narrative? JS: I hope that it’s more than just a narrative, just entertainment. I want you to be engaged in the film in the sense that a film lures you in and you’re captivated by it, and so that’s important to me. There’s a lot of subtext in the film. It doesn’t overtly politicize a lot. It just captures time and things that happen, like the economic crisis, housing crisis, and the relationship of these people to America. It raises issues about immigration, it raises issues about the American dream…about our capitalist society hell-bent just on consuming and making money. But it’s not a social-issue documentary that has a voice-over and tells you what to think about these things. You have to make those decisions on your own. THC: What was your best experience teaching film at Harvard? JS: The best thing was seeing non-artists who were highly intelligent, academically driven Harvard students unable to figure out how to express themselves creatively at the beginning, and then by the end of the year they could. That was the highlight, because I think it doesn’t come naturally for Harvard students to deal with [the] ambiguities of creative work.